The Gray Wolf for solo mandolin. 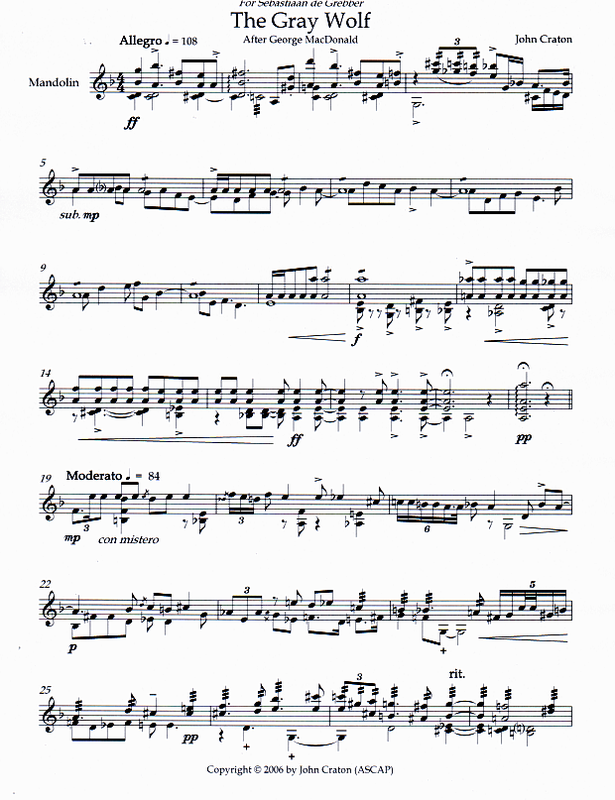 Composed for and dedicated to Dutch mandolinist Sebastiaan de Grebber, the work is based on a short story of the same name by George MacDonald. The work is featured on de Grebbers recent CD album Fantasia Romantica. this work performed by Sebastiaan de Grebber.